*THANK YOU for all of your recommendations the other day about my leg cramps… a bunch of you recommended eating more bananas to help avoid the leg cramps at night and since I had them on hand, I started with that right away. Haven’t waken up from a leg cramp since then. Thank you very much. *She is now about 16 inches long and weights about 3.3 lbs. She still has the space to move around like nuts and so I feel her doing back flips all day long but I love it because I don’t worry about her when I feel her moving so much. *A friend of mine that is due about a week after me just told me about this maternity hoodie from Target so I ordered it and I cannot wait to try it out, it’s adorable. *Running is going well still (HALLELUJAH). This pregnancy has been rough on me mentally and physically but running helps a lot (both mentally and physically) and I just feel lucky to be able to get in the miles and feel better after each run—> 41 miles last week! About half of those miles on the treadmill and half outside. *Thoughts on these?! We have found some used ones online for cheaper but I’m wondering your opinion if it is worth it…. *I really need to sign up for a breastfeeding class…. has anyone had a good experience with any online ones? Or do you recommend taking them at the hospital etc? I’d love to find a good online one!!! *I had to laugh when I saw this the other day;) PS How much did you weigh or your kids weigh when you were born? I was 9 lbs 7 ounces and Brooke was 7 lbs 2 ounces. *I feel like we have approximately 500 things to do before the baby gets here but that is probably a normal feeling right:) At least I have a car seat already this time… with Brooke I was buying her car seat while I was in labor at Buy Buy Baby and I may or may not have peed my pants in the store because one of the contractions was so strong. I’m sure you wanted to hear that story;) But at least I’m a little bit more prepared than last time so it has to all work out! 26 ways that pregnancy is JUST like the marathon (thanks Jennifer for the idea to do this post)! *Both take quite the support crew…. Marathon = your family motivating you, crowds cheering you on, people passing you water. Pregnancy= Andrew going to the store for whatever sounds good during that exact moment, my mom listening to me tell her every possible side effect I am experiencing and the kids bending over to zip up my boots because I sure can’t do that anymore. *You absolutely cannot wait for the day to be there (delivery/race date) but you are also a little nervous (a lot) about that day too! 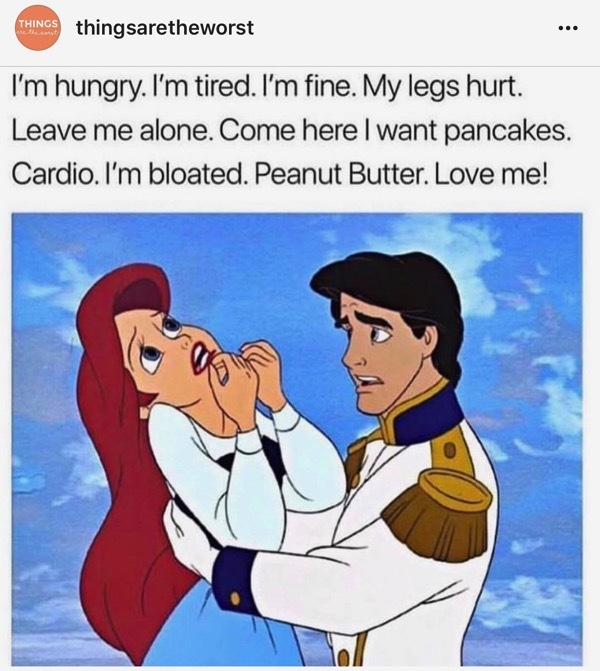 *Emotional mood swings are definitely a part of the marathon for me (one minute I feel like I’m on top of the world and the next I am wondering how I am going to make it another step) and absolutely a part of pregnancy. *Staying awake is rough for both marathon training and pregnancy. I’ve never been one to love staying up late (probably because I’m usually in marathon training mode) but pregnancy has brought about an 8 pm bedtime quite often. *You have to focus on segments of both. Stay in the mile or in the week… thinking too far ahead of getting through the hard parts is not good for my mental game. Staying in the moment is key. *You are hungry all of the time. It never stops. Even right after you eat a meal, you are still somehow hungry. *An insanely good sports bra is necessary for BOTH the marathon and pregnancy. PS I am LOVING this sports bra from lululemon (it is pricey but amazing and they let you change it out for different sizes for free throughout your pregnancy and breastfeeding when your chest is constantly changing sizes… amazing). *Lots of people do both the marathon and pregnancy and we each have our own ways of enjoying it, training for it, coping through the hard parts and finishing the race:) Cheering each other on in both is incredibly crucial. 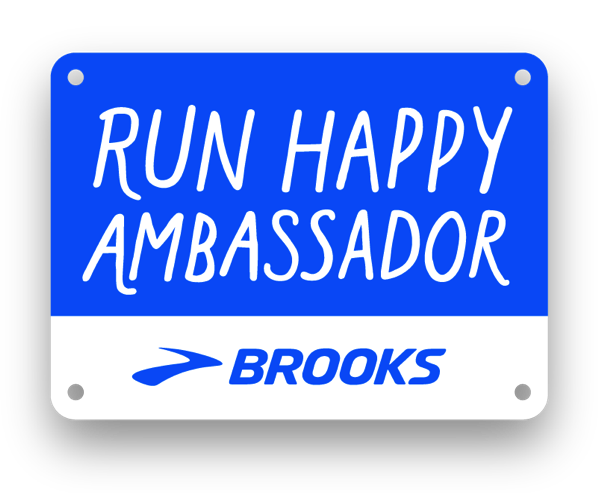 *Just because someone is smiling on the outside doesn’t mean they feel great on the inside in both pregnancy and running a marathon. *Getting up and out of bed is hard. Marathon = sore from the race or hard workouts to get you to the race. Pregnancy = being pregnant makes this really hard. 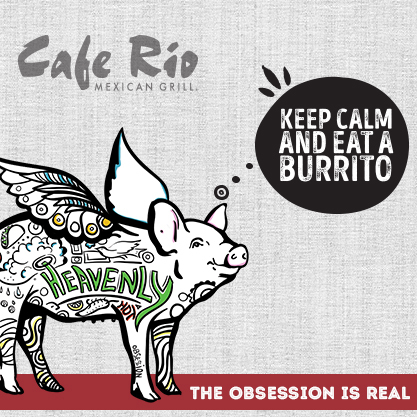 *You can’t get away from awful smells in both circumstances… ever run by a restaurant that smells awful in the early morning? Running on trash day during this pregnancy almost killed me off. *”All you want to do is slap people in the face when they tell you that you are almost there” -Quote from Andrew Baron. Telling me I’m almost there during a marathon when I have 6 more miles to go or 9 more weeks of pregnancy is pretty similar hahah. I kid, kind of. *Seems like you have to use the porta potty/bathroom at the absolute worst times (or in the case of pregnancy, every 20 minutes). *Each marathon is VASTLY DIFFERENT… each pregnancy is completely different too! *You have moments where you wonder what the heck you are doing… and then you get to the finish line or delivery and realize why you do it and want to do it all over again shortly after again ha. You forget all of that pain and want to or do it all over again. *Distractions are key at points along the way of both. *There is an incredible sense of accomplishment that comes with both things. 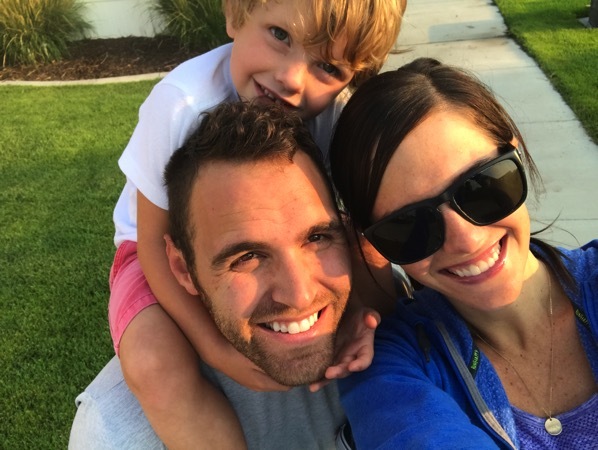 *You sweat a lot during the marathon and during pregnancy (I rarely went outside this summer unless it was early in the morning or to be in a pool because being hot while pregnant is the worst). *You’re body changes all along the way during pregnancy and during marathon training. *It feels good to surround yourself with others going through the same thing and talking to them all about it… I swear I could talk to my pregnant friends for 24 hours straight about what we are going through together and that is something I love about marathon training friends too! Also, that is what I LOVE about this HRG Baby blog… you guys give the best advice/ideas/help. How much did you and/or your kids weigh when they were born?! How was/is pregnancy like marathons/any races or the training? I just bought that maternity sweater from Target two days ago! It really is super comfortable and I love how long it is to wear over leggings. Oh this makes me so happy! Found anything else there that you are loving? MommaRoo YES! my sister had triplets (I Know) and two out of the three wanted to be in this all the time. the other one hated it. Unfortunately, my last one hated being in it. But I think most babies love it. Especially if you find it used cheaper. Loved the mamaRoo! Perfect for naps up until about 6 months when my baby grew out of it. I wanted to love the MamaRoo but neither of my kids liked it – I think they would have liked a more traditional swing better. I hate to say it because I really wanted to love it! I have that sweatshirt and love it!!! I loved the mamaroo, however my baby did not! :( it doesn’t take up much space and is super chic, but just didn’t do it for Ellie unfortunately. :( I hope you have better luck with it!!! Both are really long….that’s for sure! Too bad a normal pregnancy was only 26 weeks. 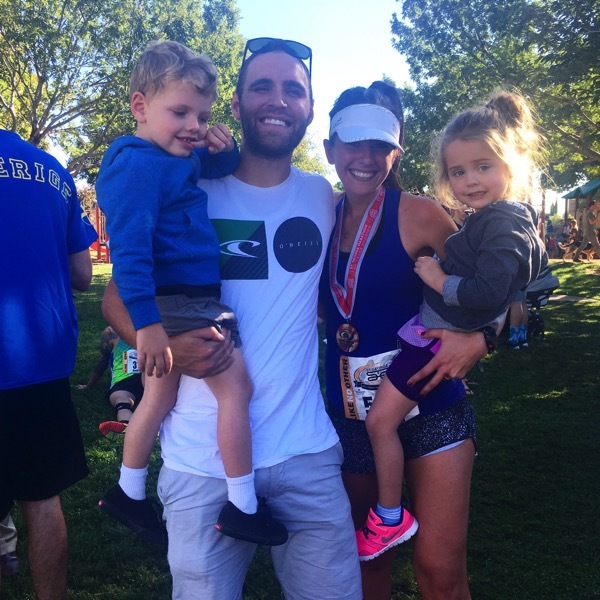 When you are watching someone else do it (pregnancy/run a marathon) you see and think of all of the amazing parts of it. Kennedy was 7 lbs 13 oz. I don’t have a mamaroo but I’ve not heard great things about it. It seems like lots of babies I know hated it! I love our basic swing from Target. I say save the money and buy more cute clothes!! I’m glad the bananas are working out for you. Brooka and her vampire teeth in the background are absolutely hilarious! The personality on her is hysterical! ? BAHAHA seriously she is so funny right now! Thank you Dawn and I hope your day is amazing! I had a mamaroo for my twin boys and they both hated it! I loved it so much and would try to put them in it all the time but they both would just cry and cry no matter what setting I used! They both preferred the less expensive swing. It was definitely a waste of money for me but I know some babies love it. THANK YOU for letting me know! PS twins… you are AMAZING! Hey for breastfeeding classes check out https://lactationlink.com/. We worked with her on something at my work earlier this year and she seems awesome. We had her do a Q&A and I just loved how real she was – no judgements but definitely not sugar coating anything. She’s local but she also has online classes too. Breastfeeding classes are good, but I highly recommend visiting with a Lactation consultant after the baby is born. They can watch you while you nurse and help make adjustments to your positioning, etc. This was a life saver for me! Yes, do this!!! LCs are so willing to help! Keep asking until you get the help you need, I’m sure you won’t be the first with whatever question/issue you have. thIS 100%! Or find a la leche league meeting (although the quality of the leader varies wildly), but a lot of lactation consultants have small group classes as well. great ways to meet moms and get breastfeeding support. some community centers and yoga studios also offer weekly new mom groups as well. I went to every single new mom class in my area – baby wearing, breastfeeding, new mom support, etc. and after the class was over i would say to the class that i was going to stop and get coffee/tea etc at the nearest starbucks/coffee shop and ask if anyone wants to join me. its a great way to break the ice and even if people can’t go, they will appreciate the ice breaker! I 100% agree on either a doula or lactation specialist. I could not have done it without them! I personally found the La Leche League persons in my area way too intense for my blood…but that could be me and/or the area. Good luck! Once you figure it out it is amazing! I found it so much easier than my bottle feeding friends. Milk always readily available at the perfect temp/nutrition for baby…yes please! Thank you so much girls… I appreciate your help SO MUCH! I weighed 5lbs 15oz and my kids weighed 7lbs 7oz, 7lbs 8oz, and 8lbs 14oz. Yeah, let’s just say that last one was a surprise! Oh my gosh, after I ran my first marathon I immediately thought how much it was like labor. It came in phases. I didn’t think I could do it. I cried and panicked. I did it and I was so proud. And you kind of forget the pain, just like you do with childbirth. Both make us so much stronger as human beings :-) And make us realize that really good things can come from pushing… ourselves ha Also I have to admit that after being in labour for 16 hours, the marathon never felt as long as it was before! 9-6 and 9-FOURTEEN. Yes I said 14. 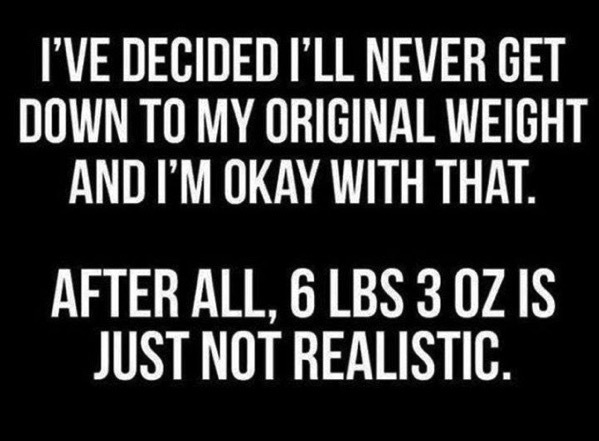 I’m scared my next would be 10.5 lbs. I weighed 5lbs 7oz born at 40 weeks. My daughter weighed 6lbs 11oz born at 42 weeks, son was 7lbs 8oz born at 39 weeks, son born at 6lbs 15oz at 37.5 weeks. I haven’t used mama roo. My youngest is 6 and I don’t remember having those. Lactation Link for breastfeeding! 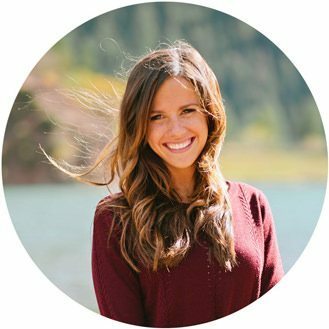 She offers online courses, and her Instagram is awesome and full of so many helpful tips! Most of my questions and concerns were answered just from scrolling through her Instagram! AWESOME!! Thank you so much girl! I seriously love reading your pregnancy updates… too bad you don’t still live in Utah! I highly suggest an in person lactation consultant. Breastfeeding support groups are nice too. I was 8 lbs and my kids were 6 lbs 1 oz at 39 weeks and 6 lbs 8 oz at nearly 41 weeks. So I don’t grow big babies. The youngest looked like a plucked chicken, the skinniest legs you have ever seen. Skinny legs and big head. Luckily she is the cutest thing now at age 6. That is a good thing as she is a handful. You are very inspiring since I am about 2 weeks behind you in my own pregnancy and also still running- really helpful mentally as I am really struggling with gaining weight and my body changing in different places seemingly daily. Do you swim and if so, have you found a good swimsuit or suggestions on what to do as you get bigger and the swimsuit just doesn’t seem to cover everything? Hey Kristen! Congrats on your pregnancy! I love how close we are! Keep focusing on the amazing thing that your body is doing right now in creating this baby! So I actually don’t swim at all… I probably should. I run daily but I’m sure in the next few weeks that will stop and I’ll hit the pool! If I find a great swimsuit I will post one! THANKS GIRL!, you’ve got this! I didn’t take a breastfeeding class, but I met with many lactation consultants at the hospital and they were wonderful! Maybe you could meet with one beforehand? I’ve heard of some bad experiences but I had a great experience. My daughter was born early and was in the NICU for a couple of weeks and they did everything they could to help me because it was a little more difficult because she was in the NICU. I forgot, the mamaroo was meh for us. We used it only a handful of times. She hated it after about a month. I’ve heard other people loved them though so I guess it really depends on the baby. THANK YOU Catherine for letting me know about the mamaroo and also the LC! That must have been so hard to have your daughter in the NICU! That is a great idea to meet with one beforehand (to help with my anxiety especially)! THANKS girl! We use momaroos at my work. Not all babies take a liking to it – for mine I have preferred a traditional swing. Just my experience! 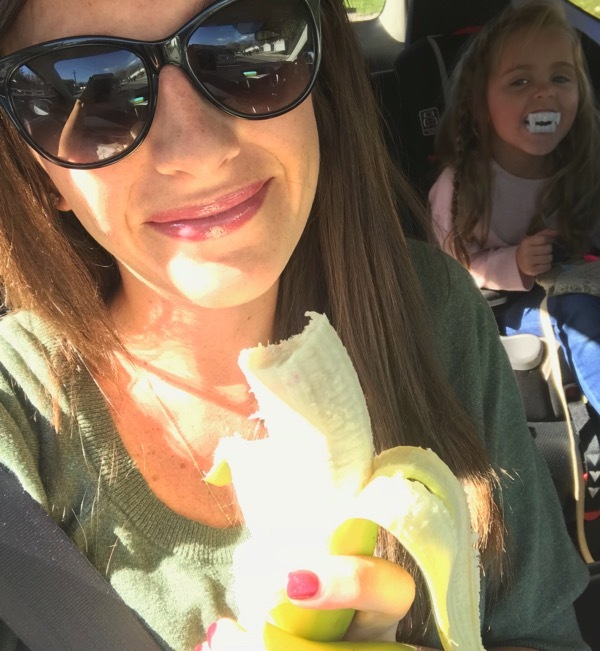 I love the photo bomb of Brooke in the background with her vampire teeth in your banana eating photo. So cute!! BAHAHA I am so glad you noticed that:) She is so funny! Have a great day Teresa! Big yes on the mamaroo, even bigger yes on getting it used. It was a definite lifesaver from a few weeks to several months, and is way more snuggly for the wee little ones than a swing. No kids for me yet, but I do support the banana notion. Has to do with lack of potassium and muscle contractions – freeze them and toss them in a smoothie for extra yumminess (although I would imagine it’s getting cold where you live – we’re still hitting 100s here in AZ!). During a sleepless night I ordered overnight mama roo from amazon. We got some sleep the next night. Enough said! That thing is amazing!!! I have twins and they both love it. ? Yes to the mamaroo! my 5 month old still uses it. Take a breastfeeding class or hook up with a lactation consultant. I basically waited until the hospital and that was a mistake. Number one, your body is trying to recover from a traumatic life event or even surgery. Number two, you are focused on the whirlwind of having the new tiny human to care for… I was too overwhelmed to focus on breastfeeding alone. It was hard and to be honest, the nurses do not offer much help. Not because they don’t want to or do not know how, but they already have their hands full taking care of you and baby. I wish someone would have shot my straight on breastfeeding and what to expect the first 24 – 72 hours. Hi, Janae! You’re an amazing mom and truly an inspiration to all of us (pregnant or not!). You asked about breastfeeding classes and, in my opinion, taking one (or as many as they offer) at a hospital is such a great way to meet other moms and hear their questions. Sure, it’s probably a lot easier to take an online course (stay at home in your pajamas, sign me up!) but then you don’t get the interaction you would if you were around other mamas. I know this is your second pregnancy and you’re not an amateur at breastfeeding; however, it never hurts to take a basic class and a refresher course with subsequent pregnancies. Also, check out Babies ‘R Us/Toys ‘R Us….sometimes they hold breastfeeding classes or forums taught by certified lactation specialists and they usually have a giveaway at the end (score!). Good luck on your breastfeeding goals. It may not have been all unicorns and rainbows with Brooke, but you have a wider support group this time around and I know it will be everything you’re hoping for! 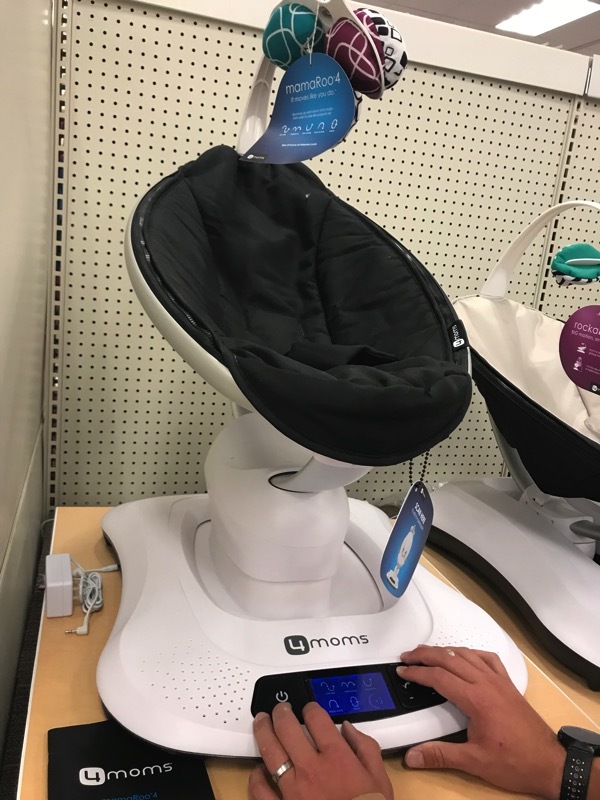 We loved the mamaroo but my sisters kids didn’t. Every baby is so different but they use the manaroo in lots of NICUs for a reason because they’re pretty great. Also check out the dockatot. Phenomenal. We love ours. Totally agree on seeing a lactation consultant. And then for support at all hours i’d recommend la lache league website: llli.org. They have all the information you need on breastfeeding at different stages, latching issues, cluster feeding, you name it. and very supportive message boards. My babies were 6 lbs 4 oz, 6 lbs 7 oz and 7 lbs 15 oz…and she was two weeks early…if on time, she’d have been two big for me to handle (they grow an oz a day in the last few weeks, i think)! I love how nature works for us. They say that your body knows when to go into labor based on when our bodies can longer metabolically support growing the baby more. I find this so cool. Good luck! You are doing amazing. Agreed with all the recs for a lactation consultant. Look for an IBCLC, they have the most education and training, and look at online reviews (like with everything else in life!) Breastfeeding is sooo hard but for me, it has been mush easier the second time around. Me= 6lb 8oz; daughters= 7lb 14 oz and 7lb, 5oz. Love reading about your pregnancy! I weighed 10lbs 3.5 oz when i was born which has NOTHING to do with your size later on bc i weigh 117 now at 5’6 height. My brother weighed 11lbs and the other 2 both 9 something. & we all struggle gaining weight now, lol. funny how that is. My stepdaughters weighed about 7 each when they were born. I often wonder if i will have big babies like my mom did whenever i do have my own. Good luck with everything!!!! Continue to keep us posted!! Fun post!! Since you were asking for opinions about the baby seat… I invested in one & my son used it about once! He didn’t like it at all and screamed pretty much the entire time.! I took a breastfeeding class at the UofU hospital (I live in Salt Lake). It was good to feel prepared, although I will say the teacher seemed a bit TOO enthusiastic about breastfeeding – a few of the women expressed concern about being able to breastfeed because of past experiences or because other women in their family had trouble and it seemed to me that the teacher was sort of dismissive of their concern. It would have bothered me if I was one of those women. Definitely see a lactation consultant – I know a lot of hospitals/clinics offer lactation services, but I also stumbled across a store in Salt Lake called the “Lactation Station” (on highland drive between 2700 S and 3300 S) and they have all sorts of nursing bras, etc but it’s run by a lactation consultant and nurse who offers advice (and maybe free consultation if you buy something?? I can’t remember). Another good option if you run into trouble with breastfeeding! I forgot – we never tried the Mommaroo but my daughter liked the fisher price rock’n’play (and the basic version is waaaay cheaper than the mommaroo and you can find them for sale used for even cheaper). Oh yes – Rock n Play is a great idea! My LO loved it, and the Fisher Price infant bouncer seat (which I mentioned in my long comment below). How much did you and/or your kids weigh when they were born?! Me: 8 lb, 9 oz. Daughter: 8 lb, 2 oz. ; daughter 9 lb., 14 oz. ; Son 7 lb, 15 oz. How was/is pregnancy like marathons/any races or the training? Both pregnancy and marathoning are experiences you only *really* get once you’ve been through them. 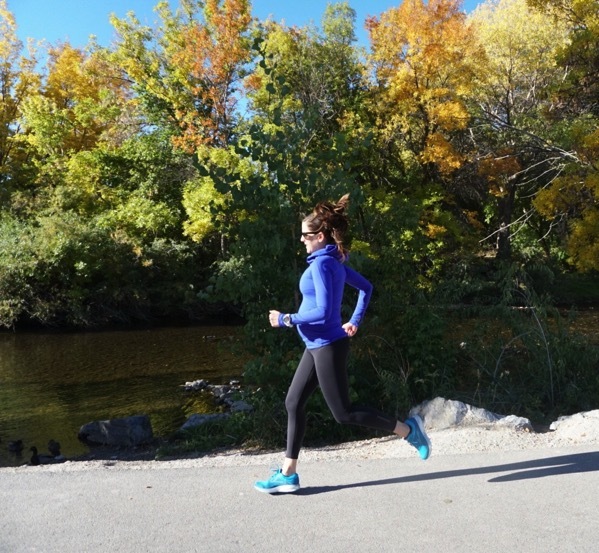 Being close to someone throughout her pregnancy, training with long runs and speedwork or various other distances–these can give you tons of empathy and awareness, but only the full experience lets you totally understand it. I have a 9 mo. old, so I’m fresh off the newborn rollercoaster. I was lucky enough to borrow the 4Moms Mamroo. Some babies love them, some babies don’t. I’m pretty frugal, and I would have been so annoyed to spend all that money, and then have my baby not like it. Mine was lukewarm on it. Honestly, she like daughter the Fisher Price infant bouncer seat just as much. But I can see for moms who had babies that loved it and stayed content for long periods, it would be worth every penny. Problem is, you don’t know til you’ve bought it! You asked about strollers a million years ago, and I meant to respond. I saw many people recommended the City Mini Jogger (which is not a jogging stroller). I know you’re tall, and I am too (5′ 11″). I rented a City Mini on a trip, and found the bar too low for my taste. Also, it doesn’t offer much storage under the seat, and it’s really hard to get at stuff in the bin. The weight and one-handed folding feature are awesome, but did not outweigh the drawbacks. Check it out in store before you buy. I’ve been using my BOB day-to-day, which is bulky but such a great stroller. I have a MacClaren umbrella stroller too, which I do not recommend because it takes an engineering degree to use the buckle. Hope this info helps! So fun to follow your pregnancy and think back to my own.I had a January baby, so it’s like seeing myself a year ago! I was 8 lbs 3 oz and my son Lukas (he is 11 now) was 6 lbs 11 oz (a tiny little guy, he wasn’t technically a preemie but he could only wear preemie clothes for the first couple weeks!!) – he is still a little guy today. We are finally seeing some growth and hoping for a big growth spurt soon – he needs to catch up to his feet. He is only 65 lbs and 4 ft 8 and he’s 11. He is built like a baseball player so is lean and has abs made of steel (which he likes to show me quite often,lol). I’ve never heard of lululemon letting you exchange the bras for different sizes during this time. Is it for any bra or just this one? I hadn’t either! I’m not sure if it is every bra… I’m guessing just this one since it is more pricey but yeah, they let you switch out your sizes during pregnancy/breastfeeding (at least in our area and Vegas)! Ditto – me too! I’d be interested to hear more about this as I have been wearing the Lulu Enlite in pregnancy too (I’m 28 weeks) and it would be great to know if I can switch it when I go up/down sizes! 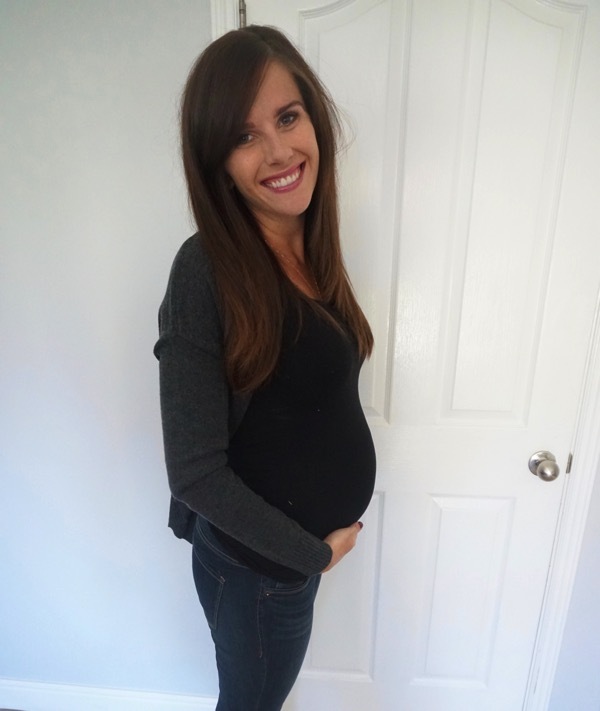 Jenna from the Eat, Live, Run blog just did her list of 17 Baby Items she recommends. The Mamaroo was on her list. I attached the link for you to give you some other ideas too :) Hope you’re having a great day Janae!! Oh THANK YOU Sarah! Can’t wait to check this out! My kiddos were: 7#4oz, 8#13oz (after a huge poop!!! no fair!) 6#12oz and 7#5oz. My 2nd was my heaviest and longest and my third was the lightest and shortest by 2.5 inches! So, she looked the roundest because of that! she was so cute! My friend loves her mommaroo for her girls! I just had swings for my kids. So impressed you’re still running! You rock! I was 9 lbs 5 oz and my twins were 5 lbs 11 oz and 5 lbs 13 oz. I took my twins to a breastfeeding class at the hospital. It was a weighed breastfeed so I could find out how they were nursing, but they also helped with latch and it was a great support group. I highly recommend finding that in town! And a huge bonus was that it was free! Love the comparison! 100% true. I would add and it is probably part of distractions. You think of new and exciting (at the time) things you never knew were so great and exciting to buy. We wanted to love the mamroo because it seemed so awesome! For both of my boys after about 4 weeks they were done with it! They both loved this cheap swing we got at target (it had monkeys that hung down so we called it the monkey chair :)). It is also very bulky to carry so that swing really only stayed in one room. We liked the rock-n-play and the cheaper target swings much better! I haven’t bought one, but we use the MamaRoo in the NICU where I work — the babies LOVE it. You are looking fantastic and strong, Janae!! We bought a used mamaroo on craigslist. It was great! Then I resold it on craigslist. The only thing is you don’t use it for very long. I had a kindergartener at the time (we have a 6yr age gap) and it was great to put my baby who constantly wanted to be snuggled in it so I could actually do something. We had the mommaroo for our 2nd born and we loved it! He slept in it it and hung out in it quite a bit. Even better, it was lightweight and easily moved, so he could be a part of what we were doing or not. Firstborn didn’t really like the traditional swing we had for her, though. Hi! I love ❤️ lululemon! Thanks for the recommendation! Here are another 2 great sports bra to use while pregnant/breastfeeding. The straps are adjustable and can grow with you during pregnancy, and they make breastfeeding easier too! The last one is my fave – you chafe a lot!!! BAHAHAHA!!!! If you can find the mamaroo for cheap from a friend or something go for it. When we pulled out or swing from Ford’s baby days, the cords were mangled so it didn’t work. We ended up getting a rock & play (the one that rocks on it’s own) and it was awesome. Easy to move around the house and Asher loved it when he was little. Plus, they are way cheaper than a mamaroo. Fisher Price Rock N Play was one of the best gifts we got for our girls. My oldest could not sleep in a bassinet, so she slept in the Rock N Play until we were ready to transition her to a crib. My youngest (3 months) still primarily sleeps in the Rock N Play, although she will nap in a bassinet. It is also nice because it fold-ups and is portable, so it can be moved to different rooms in the house or even taken on trips. We got a Mamaroo. I’ve heard what other people have already said, that they either loved them or their baby didn’t take to it. We got a great deal on our’s in fact because a friend of a friend barely used it because her son didn’t like it. We had a fisher price one for my son, which he loved, but my nephew broke it. We would have been happy to get one of those again EXCEPT my son ended up sleeping almost exclusively in the swing. He had to sleep at a slight incline after a surgery when he was 8 weeks and I guess just got used to it! And the footprint of those is so big that it was a pain to move it (he was a tough sleeper for me and wouldn’t fall asleep if I wasn’t in the room- looking back maybe I shouldn’t have indulged that, but they’re only babies once and he sleeps fine now!) So we are hoping this little girl likes the Mamaroo because it is super easy to move around! I went to a breastfeeding support group at a local hospital, a La Leche League group, read every page on KellyMom.com, etc.. KellyMom has a Facebook support group that is a closed group, which joined. I like asking questions on Facebook- one of their admins always answers as soon as they approve the post and other moms usually share, too. I had a hard time with it with my son because of some factors and I felt like I was catching a lot of judgement, but I haven’t picked up on that on this group so far, which I appreciate. Ahhh yay!! I love that you did this post!! Thank YOU! So fun!! !